Lamination increases the life of full color prints and creates a scuff resistant surface. It also provides UV protection, reducing the fading of color from direct sunlight. 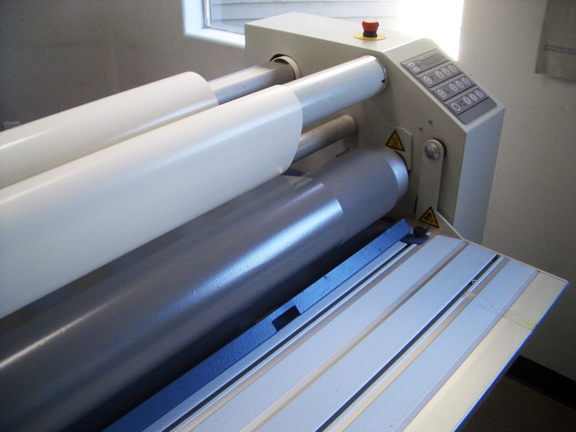 Our Wide/Large Format Laminator, used on Full Color Digital prints.